Over the last year, IAVA has focused on the need for high quality, accessible mental health care for veterans and service members. When considering what this means, it’s easy to focus solely on the care that the Department of Veterans Affairs (VA) provides. But community providers have a large role to play as well. About forty percent of all veterans are enrolled in VA healthcare. 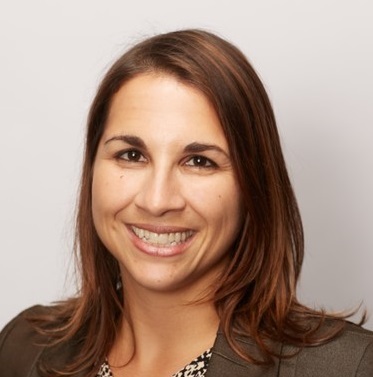 This means most veterans are seeking health care in the community, not at the VA. And given some of the unique challenges in treating service-connected injuries, it’s critical for providers to have some level of cultural competence when working with the veteran community. Basically, providers should have some level of familiarity with the unique needs and relevant issues of this population. They should also have a knowledge of and ability to deliver the evidence-based therapies to treat service-connected injuries. 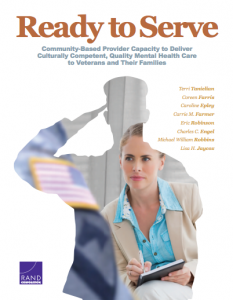 Yet, a recent RAND report assessed the cultural sensitivity and competence of a population of mental health providers (including military, VA and civilian providers), sampling over 500 mental health providers. They found that overall, only 13 percent of civilian providers met the readiness criteria (military and VA providers demonstrated a higher competence). Additionally, only about half of the providers actually asked about their military history and less than half asked about the stressors specific to military life. So herein lies the challenge; how can a mental health provider effectively treat a patient if they are unaware of the complete history of that patient, including military affiliation? Beyond that, once the service member or veteran is identified, how do we ensure the provider has the necessary cultural competence to treat the patient? Step one in this is to make taking a military history a common standard clinical practice. This can be as simple as having a question on the standard clinical intake form that asks whether or not a patient is serving or has served in the military, or has someone close to them who is serving. However, we now have the opportunity to change this. Have you or are you serving in the military? Is or has someone close to you served in the military? Just starting this conversation between a provider and a patient can do so much to help identify the 1 out of 5 adults with a military history who pursue care in the community. Not only is this important to add awareness among providers, but it’s the first step in closing this gap in cultural competence among community providers. From a research perspective, it will also help providers to better understand adverse outcomes in the entire veteran population because they would be identified. Finally, this might be the step the nation needs to really embrace coordinated care between DoD, VA and community health care systems. I support the addition of an element that would capture military history. At minimum asking two questions: (1) Whether an individual is serving or has previously served and (2) Whether someone close to them is serving or has served. This is a great first step to enhancing the care service members, veterans and their families are receiving in the community.